-Size: 11" L x 22" W x 10.5" D -The padded bottom panel adds structure & makes securing the side frames easy. 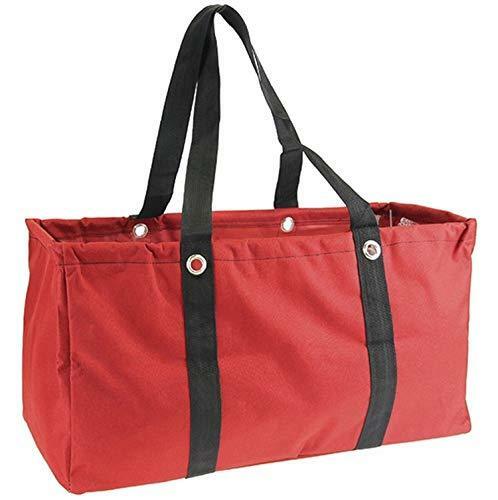 -Large, structured framed trunk organizer utility tote bag. -It has two metal side frames that fold up, allowing the organizer to fold flat when not in use. -Can be used for a shopping market tote -Has a nylon liner that is easily wiped down.